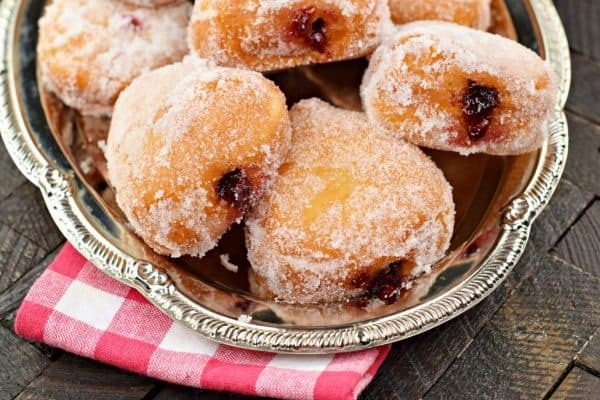 Sugar coated, lightly fried, these Jam Doughnuts are the perfect breakfast! Pick your favorite jelly flavor and enjoy a batch with a cup of coffee or tea! 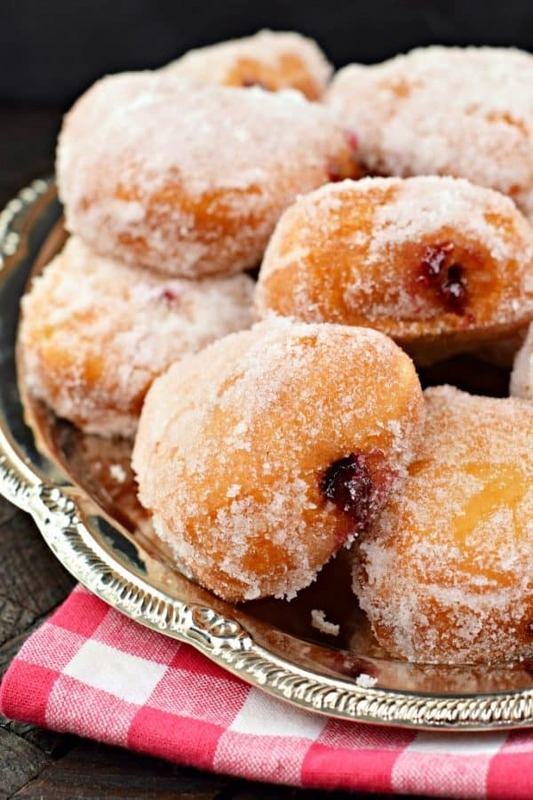 This recipe makes 36 freezer friendly doughnuts, perfect for sharing or saving for later! You all might remember last Spring when I traveled on my first Princess Cruise through the Baltic Sea? Well, I was back on the cruise again, this time headed to the Western Caribbean. In case you were wondering, the Caribbean is open and ready for travel! Fortunately for my husband, this time he was able to come along and join me on this fun adventure! It was so nice to get away before the holiday chaos begins, although, I’m positive my girls would have had a blast on this cruise too! First, can I just say that packing for a warm weather cruise is SO MUCH EASIER than packing for the Scandavian cruise? Not that it’s a bad thing, but wow, so much less luggage needed, haha! I’m not going to lie, but the first thing I did when I got on our cruise ship, the Crown Princess, I went straight for the International Cafe. You may remember my frequent visits last time, and these Almond Croissants. Well, this time I was obsessed with the Jam Doughnuts. So soft and fluffy, and covered in sugar. What’s not to love? Personally, I love that all the breads and pastries on the ship are made fresh daily. Yes, you read that right. I can only imagine how amazing the kitchen must smell each morning as the doughnuts and pastries are cooking! As ya’ll know, I’m a big fan of doughnuts here. Many times I just use refrigerated biscuits and fry them, and I promise they have a texture that is almost spot on to a fresh doughnut. Until you take the time to make fresh doughnuts that is…it’s not the same. The biscuit version is for sure so much easier, so there is a value to that, not going to deny it. 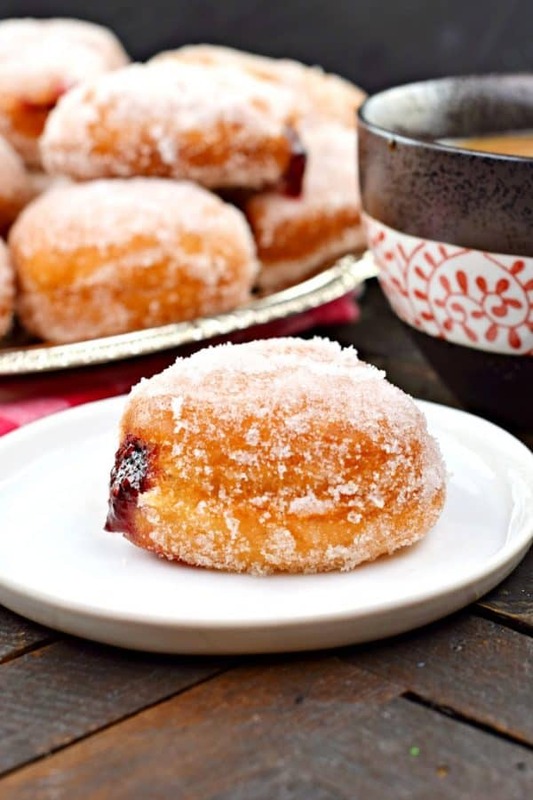 However, a fresh doughnut filled with jam and covered in sugar..welp, you can now understand why I frequented the International Cafe and all it’s delicious morning pastries several times before lunch! 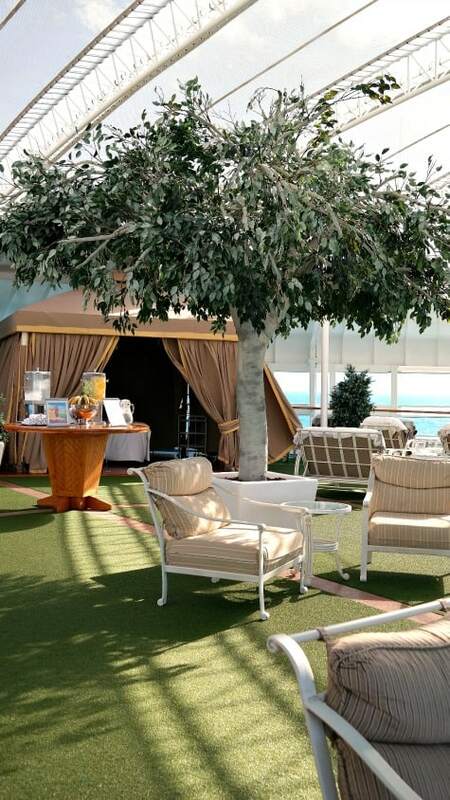 Other fun things to do aboard the Crown Princess? 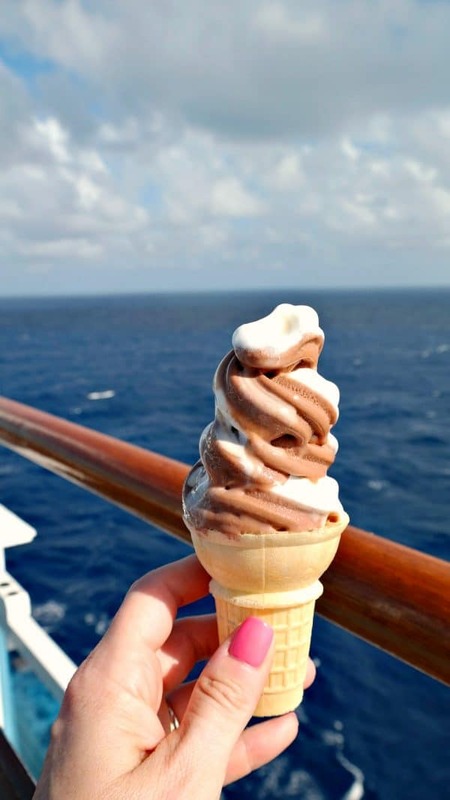 One of the first things I do upon boarding my Princess Cruise ship, is head to the ice cream shop for a free swirl cone! This girl’s gotta have a treat as I explore the ship! 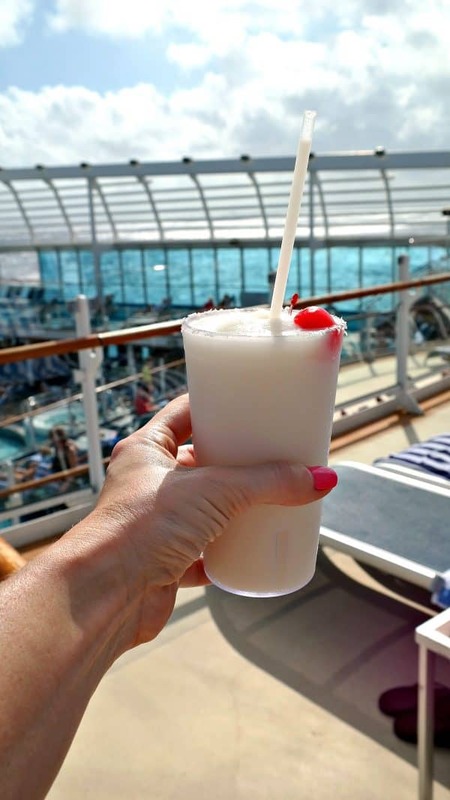 This girl can’t resist piña coladas! Cold and refreshing, and made perfectly every time! One of our afternoons on board, we watched Grease on the big screen while sipping cocktails and getting a suntan. It truly couldn’t get much better than that on a mid-November day. This Chicago girl was in heaven! 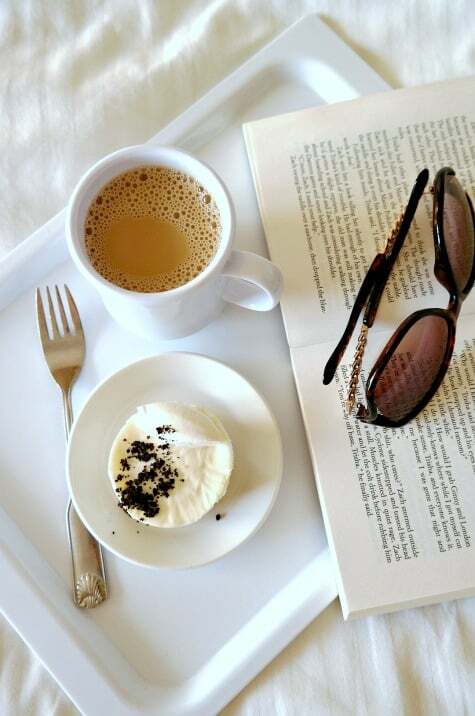 After a couple days at port, we grabbed some treats from the international cafe, ordered coffee via room service, grabbed our books and sat outside our room on our balcony. If you can swing it, the balcony rooms are worth every penny! They provide a little extra space than a standard stateroom, and you can watch the sunsets and sunrises from the privacy of your own outdoor balcony! One of our afternoons we spent learning how to blend various wines. Each ship is different, so be sure to read your daily “Princess Patter” to find out what activities are on board! 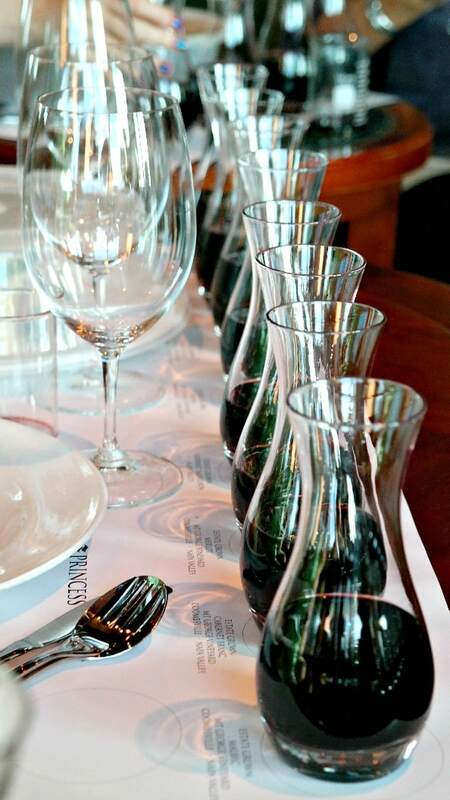 This was one of my husband’s favorite activities…learning about wine and how to blend to create your own flavor! Stay tuned this week, as I tell you more about our excursions in Mexico, and I’ve got two more delicious recipes inspired from the trip! But maybe you just want my doughnut recipe. If that’s the case, here you go! 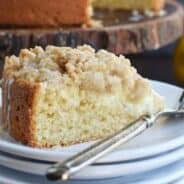 This recipe makes a yeast based dough. DO NOT BE AFRAID. But, to make sure your yeast rises properly I have a couple of tips. FIRST, check the date on your package. I can’t tell you how many times I’ve used “old” yeast and wondered why my dough didn’t rise. SECOND, make sure when you allow the dough to rise, it’s in a warm place. I usually turn my oven on to 200°F and place my bowl on the stovetop. My house is ALWAYS cold, so this works for me. Sometimes I’ll put it on top of the dryer if it’s running. FINALLY, don’t handle the dough too much. Be gentle when rolling. No need for a deep fryer…just use a deep skillet or saucepan with canola oil. I only like to cook a few at a time anyway since they brown so quickly. This keeps your from burning them. Immediately dip in granulated sugar once removing from oil. Another reason why I only cook a few at a time. The sugar sticks better when they come out of the oil. COOL completely before adding the jam filling. I stir my jam until it’s almost runny, then put it in a pastry bag with a an open tip. Stick it in one end of the doughnut and squeeze. You’ll see the doughnut puff up, you want to remove before the doughnut explodes, or before the jam starts coming out of the entry hole! This may take a few trial attempts (which means, you may need to cut open a few to see if your “pressure” is enough or too much)! 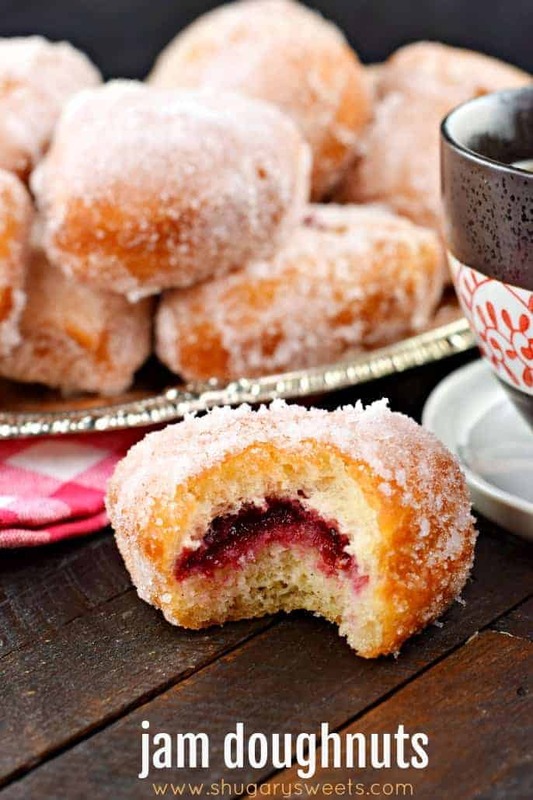 You can totally freeze these doughnuts for later too! Once cooled and filled, place them in a single layer in an airtight container or ziploc gallon freezer bag. Freeze. When ready to use, remove from freezer and thaw at room temperature (in container or freezer bag). They may be slightly sticky, you can re-dip them in sugar if needed! ENJOY! Heat milk, cream and butter in small saucepan until melted completely. Put aside to cool to lukewarm. Pour warm water in mixer bowl (make sure bowl is warm). Sprinkle yeast over water. Let set for about 5 minutes until bubbly. Add the lukewarm butter mixture. Combine. Add eggs, sugar, salt and nutmeg. Add 2 cups of the flour. Mix using paddle attachment until flour is incorporated (on low speed). Turn up to medium and beat until well combined. Add remaining flour in ½ cup increments. Change to dough hook attachment and beat on medium for about 3-4 minutes. Batter will be VERY sticky. Transfer to a well-oiled bowl, cover and let rise for about one hour. On floured surface, roll dough to about ½ inch thick. Try to do as little rolling as possible, and not pressing the rolling pin hard, be gentle. Cut using a 2-3 inch cookie cutter. I used a Halloween candy corn shape to get the triangles, but circles would be fine too! Set doughnuts on floured surface to rise, for about 30-60 minutes (covered). Preheat oil in stainless skillet or saucepan (I use the skillet). When oil is hot, place doughnuts in oil for about 2-4 minutes on each side, until browned. Transfer to a bowl with granulated sugar and immediately coat them generously. Place on cooling rack. Once all doughnuts are cooked and cooled, I stir my jam until it's almost runny, then put it in a pastry bag with a an open tip. Stick it in one end of the doughnut and squeeze. You'll see the doughnut puff up, you want to remove before the doughnut explodes, or before the jam starts coming out of the entry hole! This may take a few trial attempts (which means, you may need to cut open a few to see if your "pressure" is enough or too much)! Store doughnuts at room temperature in covered container. Or freeze until later. Thaw at room temperature and enjoy (you may need to re-dip in sugar if they are sticky. 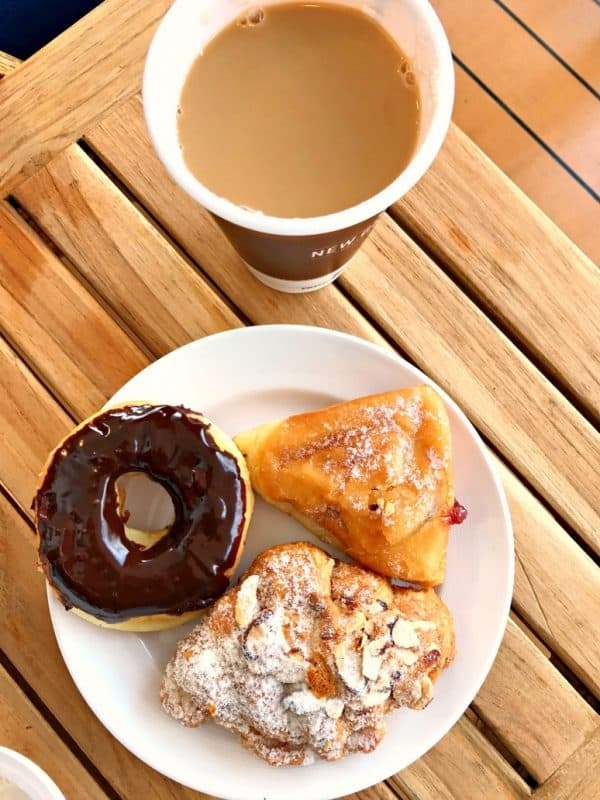 The donuts look insanely good and so great that your husband got to go along on this cruise! And blending wines…I would be totally into that! These are my hubby’s FAV doughnuts! I can’t wait to try them on him! Can we please go back?? I need another Jeep day with you and Miguel. These doughnuts were amazing! Do you think you can make this dough in a bread maker?? Has any one tried to? These doughnuts are speaking my language! YUMMMM! I really want to try to make these – however I have a wall oven and I don’t have a dryer…If I set my oven on super low…say 100 or 150, do you think putting the bowl in the oven would work for them to rise, or would that be too warm? Yep that should work. Make sure you cover them. Sometimes what I’ll do is turn on my oven while I’m prepping everything. Then turn it off (so there’s no chance of fire or overcooking something). It’s still nice and toasty in there…and not TOO hot. Holy moly I’m dying right now. 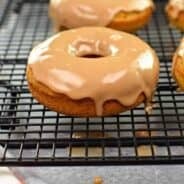 I’m going refined sugar-free for the month of January and this post is killing me, the doughnuts look amazing. I. Must. Look. Away. But. Can’t. Too. Tempting. GAH!!!! 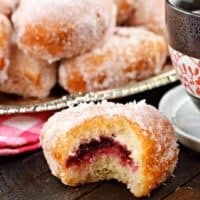 Jam filled doughnuts were my favorite as a kid. I MUST make these for my family so I can indulge again!!! The cruise looks amazing!!! The Caribbean is just gorgeous and I loved going onboard a Princess boat! I never had donuts on my trip, though…regretting that now. But thankfully I can try these at home! They look incredible! Another warm place to rise dough is in an above-the-stove microwave. I turn on the light that shines down on the stove and it actually warms the interior of the microwave just enough to help dough rise. It’s good for softening butter, too. 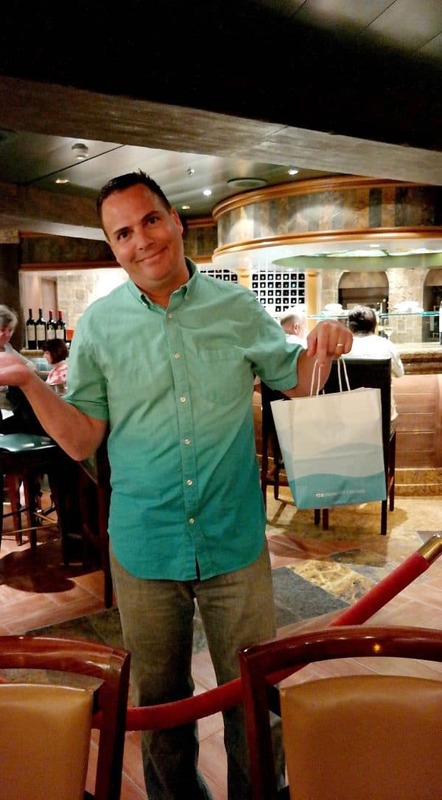 How fun that you were able to go back on a Princess Cruises trip with your hubby! I so want to go back and share the experience with my husband, too! Seeing your photos makes me so nostalgic, especially for The Sanctuary! These doughnuts are just so tempting — that sugary coating is my weakness! Can you make the dough a day before? So they can just be fried and filled the next morning? Yes, I would keep it refrigerated and covered with plastic wrap. 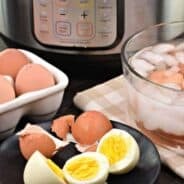 My hubby is SO excited about this recipe! He loooooves jelly donuts but never new how to make them at home. These are so perfectly sweet and delicious.